Cloudian Inc, a vendor of object storage solutions has recently announced the acquisition of Infinity Storage, a Milan-based developer of file systems and file storage technology. In December 2017, Cloudian announced the availability of HyperFile, a NAS controller addition to HyperStore, which we now know was based on Infinity Storage IP. Clearly, Cloudian saw a need to protect their investment and IP, as file services become more crucial for delivering object stores. We’ll come back to the acquisition discussion in a moment. 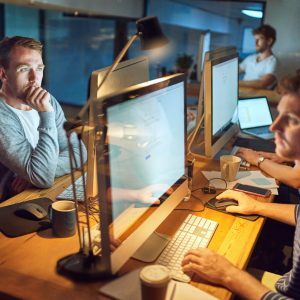 Object stores are great for storing large volumes of data, however for many existing applications, changing the software to use web-based protocols is an issue. 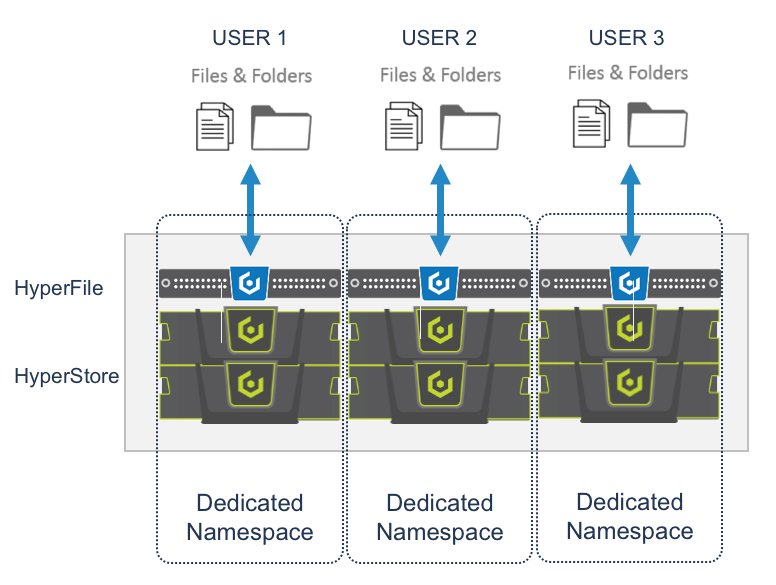 Being able to write via NFS/SMB becomes a critical benefit in driving object storage adoption. I wrote more on this last December in this post. Of course, like anything, the devil is in the implementation detail. Vendors have been putting gateways in front of object stores for years, but that doesn’t make it possible to store/retrieve the same data through multiple protocols. HyperFile offers file services, natively integrated with the object store, so data can be written in one protocol and read through another. The benefit of multi-protocol access is clear; data can be accessed without changing an application that uses file services today. However, as data volumes scale, the benefits are more than this – data can be accessed for analytics purposes using object protocols without impacting on file access performance. from local HyperFile servers while still maintaining a single namespace. Why did Cloudian acquire Infinity Storage, a relatively small player in the storage market? The answer is expertise. Last week I spent some time with Cloudian CEO Michael Tso and Infinity Storage co-founder, Caterina Falchi. Mike explained the time Cloudian had taken to search out and evaluate a range of file offerings in the market, yet not quite finding exactly what the company was looking for. With a background in detailed file system development (such as WORM), Infinity represented the perfect match of skills to deliver the file component of HyperStore, without compromising on features. Caterina has a long background in developing file protocols, including integration into the Linux kernel. This deep level of knowledge has allowed the company to stay both independent and profitable over the past 20 years. Much of the Infinity team are long-serving employees, which speaks to the interest and challenges of working for the company. Deep file protocol knowledge is going to be important moving forward as file/object hybrid solutions become more competitive. Protecting IP is one angle to view this acquisition. Another is to look at the potential for the future. 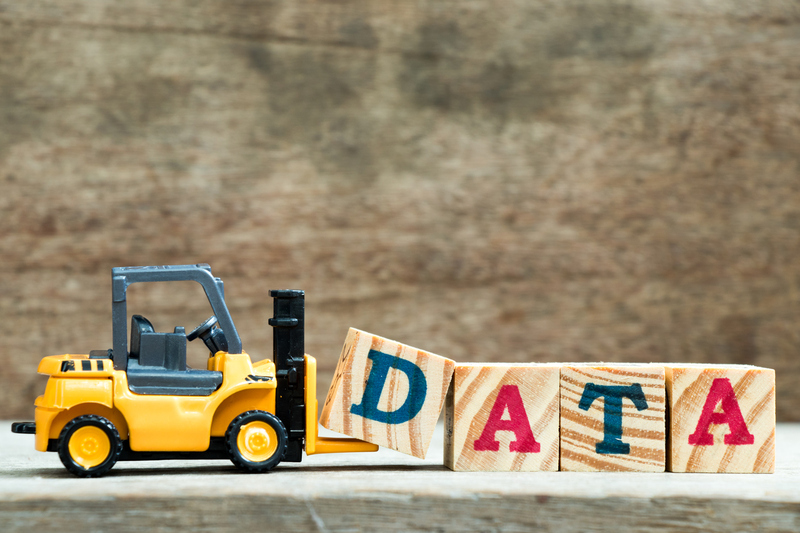 To date, object storage has been hugely popular, but the focus has been on very large customers with multiple petabytes of data to store. While it’s great to have those customers, the object storage business needs to scale horizontally rather than just vertically. 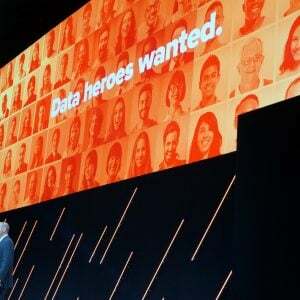 By that, I mean spread out into many more customers with smaller amounts of data to store. Merging file and object is one route to market. 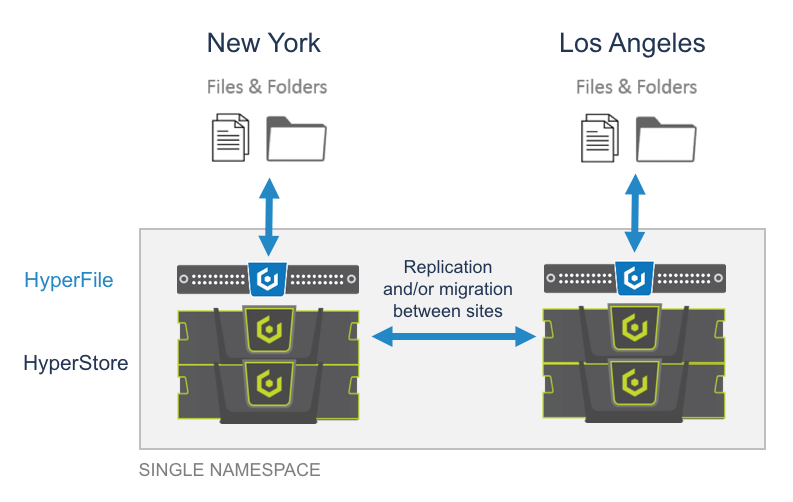 There is still plenty of scope to move data from legacy file servers and into object stores. This process needs an interface that doesn’t throw away the metadata relating to file access permissions (ACLs), access times or result in a re-write of the application. Object storage management also needs to be simple. This means not making the process of deployment, upgrade and expansion one that needs teams of experts, but rather can be done easily by the customer. Solutions are going to have to scale down as well as up because smaller companies are going to grow their data over time. Better to get them onboard before the competition. HyperStore certainly ticks these boxes. I’ve installed and used the software in the past and I can confirm it is easy to deploy. Personally, I think ease of deployment will become a critical feature in the future. As we move to a truly “software-defined” data centre, IT organisations will want to deploy storage as a feature, rather than a platform. By this, I mean having the ability to roll out a new object platform from code/scripts and have it configured without needing a team of SEs onsite. The same goes for upgrades. Adding and removing hardware/capacity should be seamless and non-disruptive. HyperStore, in my experience, offers these features by design. In addition to the HyperFile and Infinity acquisition news, Cloudian also released HyperStore 7. With this version, end users can run across clouds, using physical appliances onsite and virtual instances in AWS, Azure or GCP. Now we can see a scenario where a distributed object store provides the physical management of content while the file persona makes data available either on-premises or the public cloud. This cloud-bursting type feature is something I’ve talked about extensively. Avere (now part of Microsoft) enabled this for file data only. With Cloudian, the analytics could be done on either the file or object instantiation of content, providing a high degree of flexibility and making it possible to easily consume AI/ML in the cloud with low latency. One of the missing components for object stores has been the ability to drive adoption to a wider audience. Petabyte-scale customers are great, but they are in short supply and all of the object store vendors are fighting for them. Opening the market up to a wider audience makes sense and providing data mobility adds to the appeal of continuing to keep data on-premises. 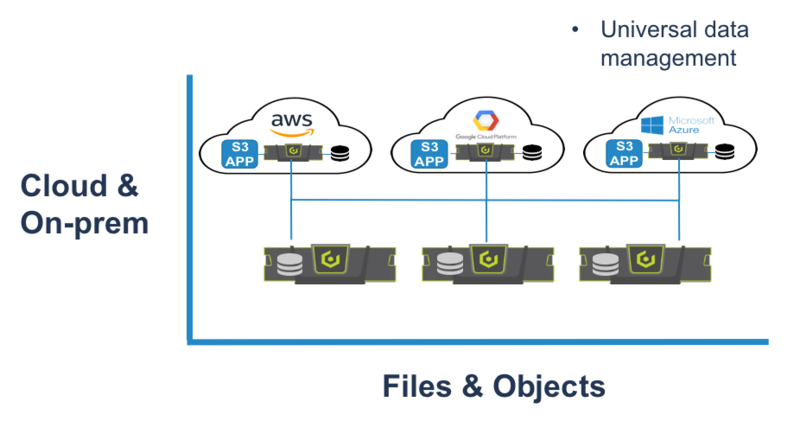 Cloudian is making HyperStore more appealing to enterprises that want to minimise the impact of object storage adoption while gaining the benefits of public cloud features. I have a feeling that over time, object and file will converge and any vendor not offering both will have a hard time competing. Copyright (c) 2007-2018 – Post #D4F5 – Chris M Evans, first published on http://blog.architecting.it, do not reproduce without permission.